Got a question? Message Scissor Stitch. Beautiful Baby Book Kit in 100% pure cotton, from a panel from 'Studio e' design house; complete with easy to follow step by step instructions. Kit contains 1 x panel & 3 pre-cut pieces of quilters.. Elegant & Stylish Shawl Knitting Kit. Easy for beginners, as it is simple garter stitch. You don't even need to purl! Just knit. You get 5 x 50g balls of Zebrino self striping wool by Adriafil (Italy)..
Gorgeous retro apron, full size, in pure cotton. 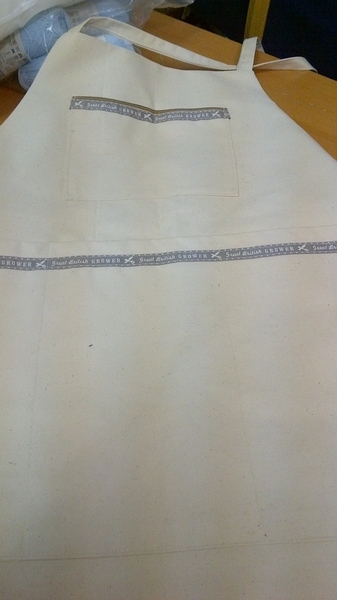 Made in our workshop, this is fully lined, with same fabric waist & neck ties. 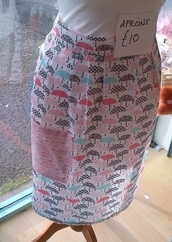 This is one size (approx 29" long by 23" wide) this will easily fit from..
A pretty waisted pinny/ apron with a vintage style. This is handmade in our workroom from 100% cotton with a traditional patch pocket in contrast fabric. 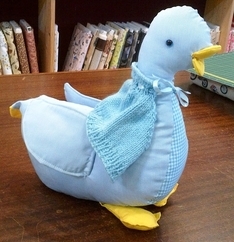 Makes a gorgeous gift or something just for you..
Meet Emmeline Duckett (Emmy the Duck). First in our new range of traditional toys you can make yourself. 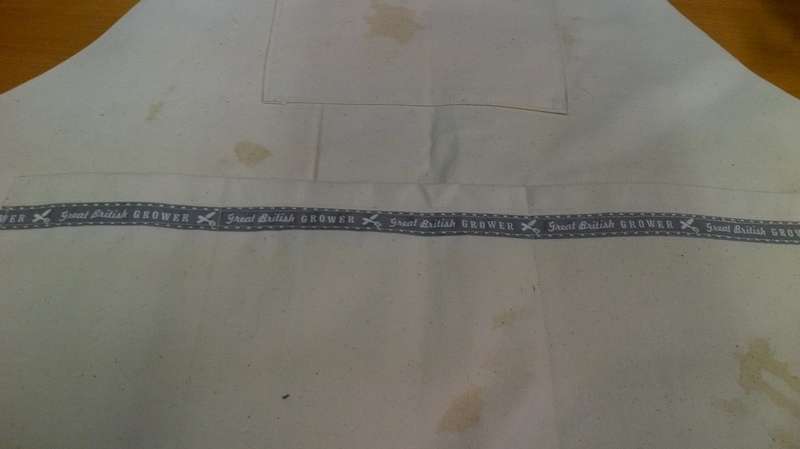 The kit comprises pre-cut pieces, safety eyes & is ready to sew. When complete Emmy is approx 32cm..
6 weeks summer holidays; 'Mum - I'm bored'. Get one of our Craft Boxes deliverd to your door. Designed for children, we've included several kits, so they can make bunting; hanging hearts, friendship bracelets..
Gorgeous floaty summer bunting; perfect for weddings, garden parties, events - or just to make you smile. Made with large flags & pennants each side, this are approx 7" wide by approx 10" long (to triangulated..
A stunning Quilt Panel Kit, featuring Spring flowers, 'Tiffany' designed by Chong A Hwang for Timeless Treasures, New York. This is very reminiscent of the arts & craft movement, and is in vivid blues.. Pure Christmas schmaltz - bright scarlet door, poinsettas & birds nesting in holly foliage. How welcoming is this. A complete Xmas Quilt kit with full size panel (approx 23" x45") quilters..
Japanese Fabric Panel 23" x 15 1/4"
A stunning Japanese Fabric Panel in pure cotton from the Kona Bay design studio. Have a few of these to clear out, to make way for new stock. Size is approx 23" x 15 1/4" . Perfect for quilting, home.. Very easy to make strip quilt kit, in a glorious array of bright primary colours. Perfect size for a cot or a baby kick mat. Designed by Scissor Stitch featuring a blend of striking fabrics from some..
Hand Knitted baby Bootees for modern baby hipsters! These are made from 100% cotton yarn, so are nice and soft for little tootsies. They'll also match a range of outfits - so no more boring socks. A wide..
Make this stunning heirloom quilt for a new baby. Made from finest selected quilt fabrics, it has a central panel, Red Roosters' 'Cherished Memories' + a selection of muted tonal fabrics from Timeless..
Beautiful soft & silky double faced satin ribbon, from American brand, Papillon. Available in a huge range of colours, each bag contains 13 x 1 metre lengths. Each bag is colour co-ordinated, e.g greys..